You are buying Enfamil Enfacare Powder With Lipil Infant Formula 12.8oz Each, Model #3444106. ADW Diabetes offers a complete line of Enfamil baby formula products both in liquid and powder form. We offer these items in both single and discounted bulk quantities for your convenience.Trust ADW Diabetes for your Enfamil baby formula needs as we offer excellent pricing and superior service. 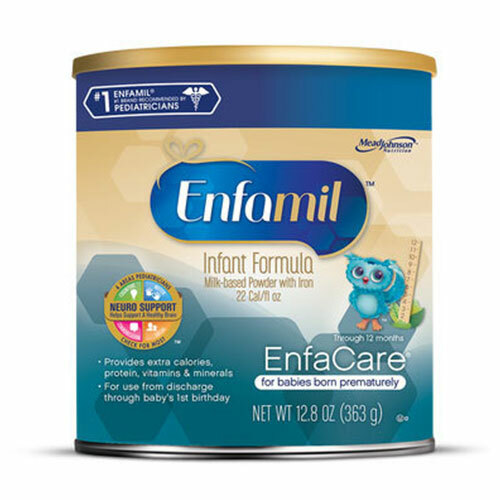 The Enfamil Enfacare Powder With Lipil Infant Formula 12.8oz is scientifically designed to support development and growth for premature babies during their first year of life after leaving the hospital. Milk-based, 22-Cal/fl oz formula with extra vitamins and minerals to promote your baby's healthy development. Expert recommended levels of DHA and ARA to support brain and eye development. Blend of nutrients and antioxidants to help your baby's immune system.